The other day I was helping Zoey get ready to go to a friend's house (who happened to be celebrating her birthday) and upon getting the gift that we had gotten her ready we realized we had neglected to get a birthday card. No worries! 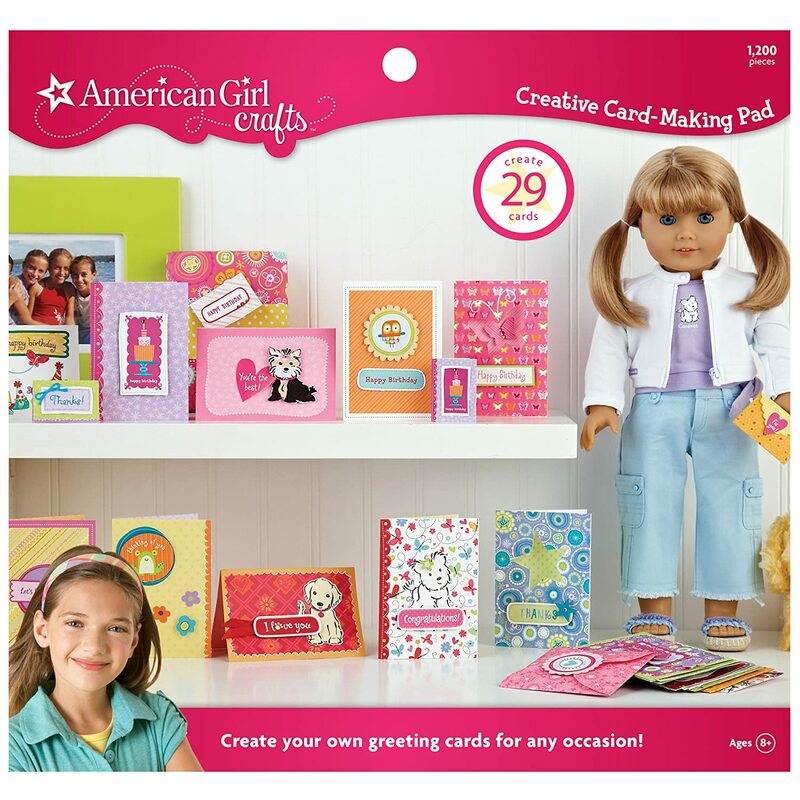 Zoey could make one using punch outs from her Creative Card-Making Pad from American Girl Crafts! 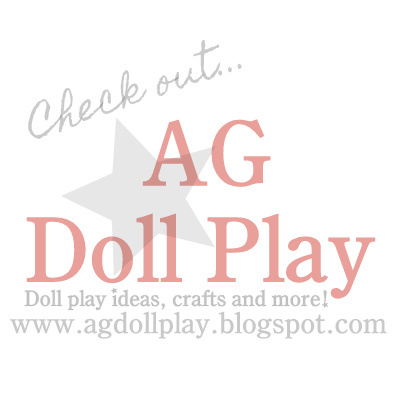 I thought I would share with you what she ended up making so you could get a little glimpse of what the kit all entails. She chose the yellow patterned card and punched it out of the pad and folded it. She chose what birthday punch out she wanted to use and punched that out and adhered it to the front of the card using the 3 dimensional adhesive that is also included in the kit. She then got busy writing her sentiment on the inside of the card. We also had one of the American Girl Crafts sticker pads so she chose some of those for the inside of the card as well. Here are some of the stickers that are included in the sticker pad that we have. There are some pretty cute ones! Once she was all done with her writing and with the stickers she flipped the card over and wrote her name in the "Made Especially for You" box. Here is the finished card along with the punched out and assembled matching envelope. Quick, easy, fun and CUTE!